first and foremost, thank you all so much for the kind words yesterday- it was an amazing experience reading your tweets, comments, facebook messages and emails. in these moments i’m truly reminded that we’re all in this together. and that, my friends, is why i have this blog. now, something tasty for your weekend! this quinoa tabbouleh is grain and gluten free (if you want to read an incredible story about how cutting out gluten changed one amazing woman’s life, please head over here). it’s also really, really, really ridiculously good tasting. like, omg. i make a giant batch because we love it so much (so feel free to halve it on your first go-round to test it out….the wishing there was more when it’s gone will make the laborious onion chopping the next time around that much easier!). i serve it with this baba ghanoush or hummus, cucumber, kalmatta olives and toasted pita chips (slice pita into triangles, lightly brush with olive oil, sprinkle with sea salt, bake at 400 degrees until crispy). SO GOOD! 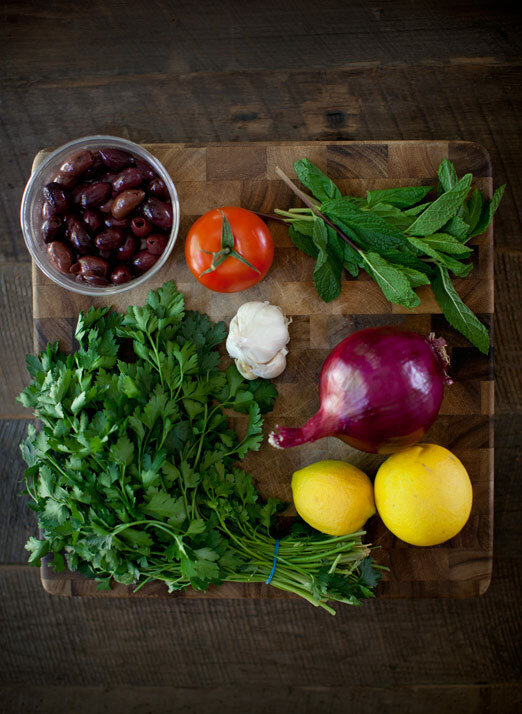 – chop parsley, mint, garlic and combine in a seperate bowl with olive oil, lemon juice and a pinch of sea salt and pepper. – add dressing slowly to quinoa salad- taste as you go until you’ve found your preferred amount of dressing to salad. Sounds great! How long do you think this will last (refrigerated, of course)? I live alone, so I eat the same thing for many days. Trying to eat healthier, so this looks yummy! yumm, looks delicious, gotta try it! Thank you so much for posting this! My aunt brought this to our Easter dinner last Sunday and I was just thinking about how I needed to get a recipe. This is perfect! dana it will last for AT LEAST a few days… probably a week. ours always gets scarfed up before it goes bad… but maybe halve the recipe the first time to see if it's enough for you! Just made this and it's delicious! Love your blog–you have great taste. 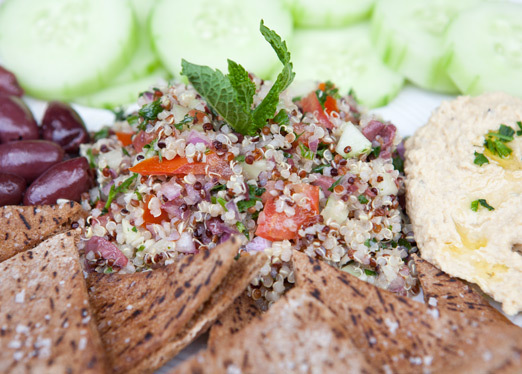 I just tasted tabbouleh for the first time at a party last month and I absolutely loved it. I'm going to try and make my own using this recipe. 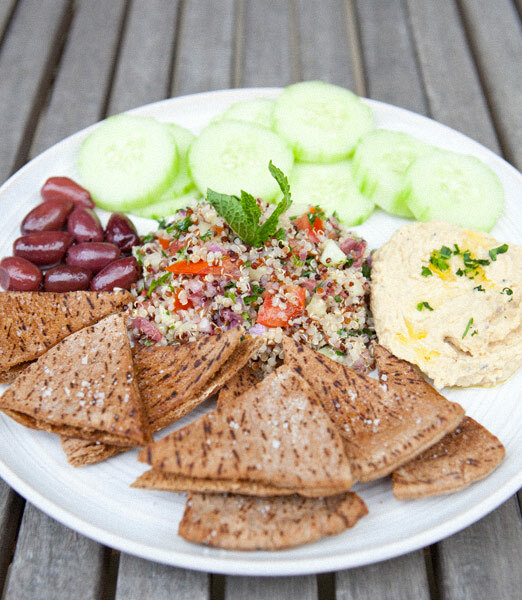 It looks delicious and quinoa is so good!